Design courses for bloggers are in the works to help teach you how to create and maintain a consistent brand across platforms. Spots will be limited, so if you would like to be notified when enrollment opens, use the form below to join the wait-list. 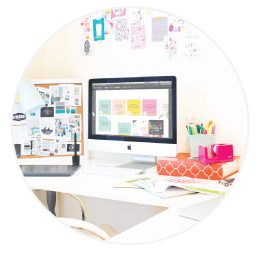 While you’re waiting, join my FREE Facebook group, Design Clubhouse, where I help professional Food & DIY bloggers create beautifully branded blog graphics with confidence. Hop on over, we’d love to have you! You can also download my free Brand Foundation Workbook to define your niche, gain readership credibility and attract reputable brands.